Hyaluronic acid is a substance typically found in healthy joints, made by the synoviocytes that line the joint. It is a unique substance, acting as both a shock absorber and as an agent that decreases shear stress in the joint, ultimately allowing for the smooth movement of the articular surfaces. With osteoarthritis, the amount of hyaluronic acid in an individual's joint will typically decrease, which creates worsening joint function. 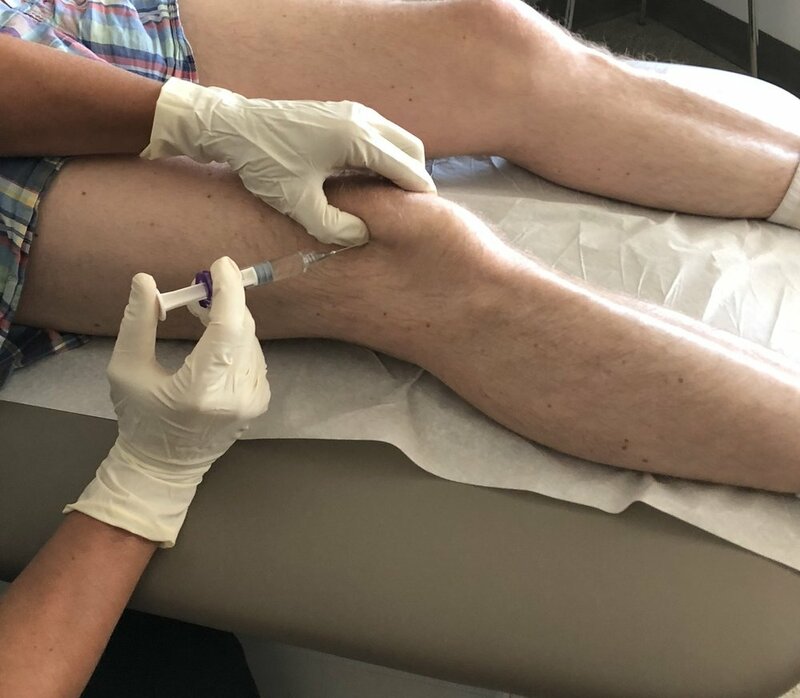 Hyaluronic acid injections are an effective option to help mitigate pain and disability with mild to moderate arthritis, leading to positive functional changes in the joint. Hyaluronic acid injections done in the clinic, typically performed as a series of three injections on a weekly basis. There are several brands of hyaluronic acid on the market that can be injected directly into an arthritic joint to improve pain and function. The procedure is quick and done with minimal discomfort - a minority of patients may feel mild pain at the injection site or temporary stiffness in the joint. Maximal benefits are found at eight weeks following the first injection.